Cap screws, nuts, and washers hold together everything we use. 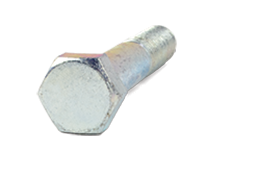 From the desk you work at to the car you drive, these fasteners are in use. Well, fasten up, because we’re going to take a closer look at the world of fasteners. You may be wondering how the flat washer portion of a fastening system is graded. Kimball Midwest flat washers for Grade 8 applications are color coded with a yellow zinc finish, while grade 2 and grade 5 washers have a silver zinc finish. There are two main patterns that a flat washer can follow: USS or SAE. They are the Society of Automotive Engineers (SAE) and United States Standard (USS). 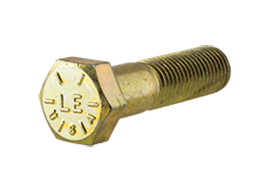 SAE flat washers can be identified as the washers have a smaller outer diameter (OD) and inner diameter (ID) than the same nominal size (bolt size) USS washers - with the exception of our close tolerance USS washers which have a tighten ID for increased strength in high load applications. With the three parts making up a fastening system, how do you make sure that the parts are secure? One word: torque. Torque is the way you tighten a fastening system. Torque is always a measure of resistance to turning - the more force it takes to turn the fastener, the more torque you are applying. Empirical testing is used to determine how much torque is required, from a specific fastener assembly and grade, to developing the clamping force to hold the assembly together. Torque is expressed in inch-pounds or foot-pounds depending on which measurement you use for your wrench. By giving the proper torque to your fastening system, you help assure that the fastening system is tightened to the right specification that is the correct clamping force to hold the assembly together. Clamping force is attained when the fastener is tightened and begins to stretch. Much like a rubber band, the more you stretch it, the more it attempts to pull itself back together and the more clamping force is developed – up to a point. While steel stretches, it will break if you tighten it too much. At some point continued tightening will cause the fastener to break when its ultimate tensile strength is exceeded. An overtightened fastening system can result in the system failure. Other factors that can result in failure include a mismatched fastening system, poor installation, and reusing a previously overtightened, and stretched, bolt. 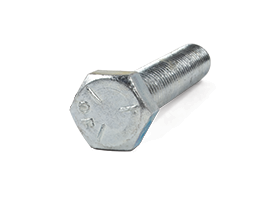 Cap screws, hex nuts, and flat washers are the basics that make up each fastening system. While failure is never 100% avoidable, a properly matched and torqued fastening system is the best way to prevent these failures.